The most important thing you need to understand before you start to make money online free is that you’re not going to be making a lot of money at the beginning for most of the following methods, as you’ll be learning how to be as efficient as possible with the work you do. 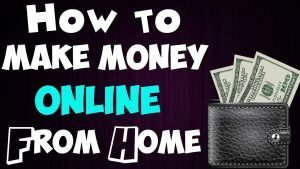 As the Internet continues to flourish and expand, you’re provided with an increasing number of ways for making money on the internet. This also means that there’s more competition out there, so it can be tricky to make a substantial amount of money unless you truly work hard at it. And remember, while there are plenty of good ways to make money on the side, you’ll want to find things that are interesting too – so you stick with it and see a return. It’s important that you make a decision on how much money you want to earn. If you’re only looking to make a small amount of pocket change, each of these ideas make such a goal possible. However, those of you who wish to generate a sizable active income will typically need to work harder and be more consistent. It is possible to make a lot of money online, but to do so you’re going to need to put in a lot of effort. Make sure that you set your expectations low at the beginning. Your initial returns will most likely be less than you would prefer, but it’s all in service for larger returns in the future. It’s tempting to want to focus on how to make extra money fast, but the truth is that if you’re only focused on making a quick buck, you’ll likely end up disappointed. If you approach it as a marathon, not a sprint, you’ll be successful over time. If all you want when making money on the internet is to earn some extra pocket money to go towards some of your future purchases or into your savings account, filling out surveys and opinion polls are proven ways to make extra income, while only investing a small amount of time each week. Though the money you make by filling out surveys and opinion polls isn’t going to make you rich, it’s a great way to get some extra cash by putting in very little effort. There are also a large number of reputable survey sites on the internet, so signing up with the right ones will provide you with the better chance of getting a good return on your time investment. 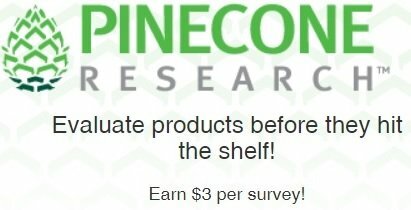 Pinecone Research is one the most highly regarded survey sites on the internet and one of the best places for making money online. Any money you make can be sent to you via a check or by a VISA gift card. It’s a very exclusive site that you’ll actually need to be invited to in order to join. At certain intervals throughout the year, they’ll provide their affiliates with invite links that might get sent to you. In the event that you find yourself with an invitation to Pinecone Research, it’s definitely recommended that you join if you would like to make some money online. The pay is pretty great for each survey and you’ll oftentimes have the chance to try out new products before they hit the shelves. How does someone make money online with Opinion Outpost? If you’re thinking of making money on the side but want to keep it simple, you have found one of the best options online. The best part is you don’t have to sell anything and you can do it from anywhere right in front of your computer. You don’t even need to leave the comfort of your own house, because Opinion Outpost offers paid online surveys catered to you as an individual. As far as quick ways to earn side cash go, this is both one of the simplest and one of the most legitimate methods out there. MindSwarms is one of the more unique survey sites on the internet, as you can make a massive $50 for each survey you take and the money is sent to your PayPal in as little as 24 hours, which is great if you need your money quickly. However, actually taking the survey is much different than usual. All of their surveys contain seven questions, but the surveys are taken via webcam. The process starts by signing up to the website with a profile video where you’ll answer a few of the standard questions they have. This video profile will allow the website to match you with surveys that match with your demographic. You can then apply to this survey by answering a few questions. The answers you give will be reviewed and you’ll then be sent the survey if you’re accepted. You’ll need to answer these seven questions using your webcam or smartphone. Once you’ve done this, the money is sent to your PayPal without you needing to request it. Surveysavvy is a website that consistently provides surveys to the people who sign up on their site. These surveys vary wildly in both length and topic, but the pay ranges from $1 to $25, so there’s a good chance that you can rack up a substantial amount of money pretty quickly. There’s also no minimum payout requirement, so you can request money as soon as you earn it. If you have friends that you think would also like to use this site, any referral you make who ends up taking surveys earns you anywhere from $1 to $2. Any additional referrals made by this person to other people will also garner you upwards of $1. Over time, you could be bringing in a lot of extra cash. Along with jobs like freelance writing and blogging, there are various companies that allow you to work remotely from your own home. While you’ll still be working for someone else, you’ll be able to tailor your work schedule to your preferences and do your work on a home computer. There are numerous companies that offer creative ways to make money, but you’ll need to find one that you actually have the qualifications for. SpeakWrite is a nice little website that’s great if you have a microphone that you can use at your computer. When selecting jobs at this website, you’ll be tasked with transcribing words and thoughts into actual documents, which is simply done by speaking the words into a microphone. Smaller businesses tend to utilize this website for anything they need to be made into an actual document, but don’t have the time to write out themselves in an official format. Everything pertaining to the document is provided to you, wherein you speak the words into a microphone before they are finally transcribed onto paper, providing the client with an actual document they can use. You can set up your own schedule and work anytime you want. When you decide to work on SpeakWrite, you’ll be paid up to $15 per hour for the work you do. Demand Studios is similar to a number of the freelance writing websites mentioned previously but with one key difference. The main difference between Demand Studios and all of the other freelance writing websites is that you can do so much more than writing. This is basically a multimedia website. While it’s certainly possible to focus solely on writing articles for Demand studios, you can also be a filmmaker for clients that are looking for short videos to be made. Video editing is another popular job at Demand Studios that can be completed in the comforts of your own home. While the benefits of working at Demand Studios are plentiful, it’s important to note that the pay isn’t exactly amazing unless you do a lot of content each day. With that being said, it’s still a great method for making at least some money online. CrowdSource is a business that specializes in solving problems and makes use of people like you to complete these tasks for larger companies like Google. The jobs you can work on at CrowdSource range dramatically in size. You can work on very small jobs that only require a few fixes for something like Google Translate or you can work on large-scale editing jobs for articles that have already been written. Of course, there are also a large number of articles to be written if you’d rather spend your time writing and sending in completed articles. The most important thing to know about CrowdSource is that you’re provided with the ability of accepting higher paying and larger jobs as you progress through the site. When you first begin working on CrowdSource, you’ll only be completing smaller tasks and being paid a very small amount. However, as you continue to work, you’ll gain qualifications by the site, allowing you to work on higher-tiered projects. Fast Chart is a wonderful website to work at if you have any medical or writing qualifications. When working at Fast Chart, you’ll be tasked with transcribing medical documentation. They have some relatively strict qualifications that you’ll need to meet in order to be accepted, but the pay is largely fantastic and the dictation technology you use to transcribe the medical documentation makes this work fun and easy to do. As with all of these companies, you’ll be able to set your own hours, allowing you to set your own goals for how much money you’d like to make online. These are just some of the main companies that allow you to work remotely. There are a whole host of other businesses that offer employees the ability to work at home, including everything from Amazon and Xerox to Dell and IBM. However, the aforementioned are the easiest to apply to and become accepted in the event that you don’t have the qualifications for larger companies such as IBM and Dell. If you’re technically proficient and know your way around computers, you might want to consider testing websites for bugs and a wide range of other technical issues that can adversely affect the state of a website. On today’s market, business owners understand that the only way for their online presence to be strong is for their website to offer a seamless user experience, which is why these companies want to be certain that their websites are bug free. This isn’t a glamorous job and likely won’t net you a ton of money, but it can be relatively easy and will allow you to gain some extra cash quickly. When you sign up to one of the many website testing companies out there, you’ll have the ability to work any number of hours you wish to, scaling down or up depending on your schedule. Two of the largest companies for testing websites are uTest and UserTesting. Although the names are very similar, everything else about these websites is slightly different. Even if you aren’t that experienced in using technology, there are a lot of tutorials and guides on how to work at one of these sites, so don’t scratch it off your list just yet. At uTest, there are a vast number of large projects held on a daily basis, on which there can be hundreds of workers. When you join one of these projects, you’ll be testing different websites, some new and some that need to be updated with modern tech in order to spot any technical issues, misspelled words, and a whole host of other issues that could affect the user experience. When you spot an problem with the website, you’ll mark down the details on this issue and send it in. If no one else has yet to find the same technical issue, you’ll be paid for your services. It’s difficult work at first, but you’ll soon get the hang of it. As for UserTesting, the type of work you do is vastly different, though with similar end goals as uTest. You’ll also need to have a webcam if you wish to work here. If you apply for a job and are accepted, a website owner will watch you navigate their website for anywhere from 10-20 minutes, so as to determine if usability is high and the website is as functional as it should be. Once you’ve completed a session, you’ll be paid $10. This isn’t exactly a lot of money, but it can quickly add up if you test a lot of websites each week. One of the best ways to make money on the internet is through Google. In fact, there are several different ways to make money online with Google. One of the easier options for those who wish to make money on Google is to actually clean up its search engine as well as other search engines. Search engines accumulate a lot of information that they simply don’t need. As a search engine evaluator, you’ll have the ability to make $12-15 dollars per hour by simply cleaning up search engines. For example, when you type in a name of an author for a popular book series, you’ll receive thousands or even millions of links that are relevant to what you typed in the search engine in mere seconds. While these results are typically accurate, search engines do make errors, which is where you come in. You’ll look for any search results that are of lesser quality, aren’t particularly useful, or simply aren’t relevant at all. By eliminating search results that aren’t useful, the search engines of Google, Bing, and Yahooo are able to make their search algorithms much more accurate through the work that you do. The work as a search engine evaluator isn’t exactly fun and can be tedious at times, but is fantastic if you want to make extra money when in-between jobs. It’s also important to note that most companies that hire evaluators for search engines pay once per month, so you won’t be making money that quickly. The money you earn also depends largely on the work that you put in. At $10 an hour, working five hours each day can earn you $50, which is a sizable chunk of cash that could turn into a lot of money if you’re consistent at this work. Some of the main websites that offer work for a search engine evaluator include Leapforce, Appen Butler Hill, and Lionbridge. Applying for a job at one of these sites is relatively easy, but the qualifying tests you generally need to complete will undoubtedly take up a few hours of your time that you won’t be paid for, so make sure to take that into consideration before choosing this as your next job. Get started with Bluehost today and create your own website in minutes. If you own a website, Google can also indirectly be a great way for you to boost your income. Let’s say you’ve set up a blog that you would like to start earning you some extra income. While any blog can take off and become popular overnight, you typically have to put a lot of work into the site in order to gain consistent traffic. One of the best methods of making a website and the work that you do popular is by optimizing the content within for search engines like Google. This can take some work, but doing so will ensure that you and your website appear at the top of Google search results for relevant keywords, which means that you will gain more traffic to the website and will be able to earn more money. When you start to make money online, either by selling some of your old CDs and DVDs or writing articles as a freelancer, the money you earn will most likely be sent through PayPal. This is the standard way of receiving payment for practically all types of jobs that you can get online, so you’re going to want to get an account before you even think about starting to earn money. The best aspect of a PayPal account is that it’s entirely free to sign up for one, though there are higher tiered accounts that you can pay for if you’d like more benefits with your account. Many websites you can work for online will allow you to choose between a variety of gift cards or PayPal to receive your payments. Gift cards offer some tangible benefit, especially if you like to shop at Amazon or similar online stores. However, a PayPal account provides you with the means of transferring any money you earn directly into your bank account. I’ve found that these transferals occur in a matter of one to two days at most, so you’ll receive your payments in a quick and timely fashion. When you wish to make money online PayPal, you’ll discover that most of the methods of earning money on the internet go through websites such as PayPal, so you can get all of your payments in one centralized location before sending these payments to your bank account. One of the more popular methods of earning money online is by creating a Youtube channel. If you’re considering going this route, you should know that the best way to gain a following on Youtube is by having a personality that’s watchable and appealing to today’s customers. Though this might seem easy on paper, you’ll also need to know what types of personalities are interesting to potential customers. While it can be difficult to become overly popular as a Youtube personality or for a video series that you create, you can create a Youtube channel on practically any subject, allowing you to corner a market that might not have been tapped yet. The most popular Youtube personalities make millions of dollars each year. While it’s certainly not likely that you’ll obtain such success, it’s definitely a possibility that you can gain enough fans to make at least some money, maybe even enough to make a living off of your content. When you wish to make a Youtube channel, one of the most important things to remember is that you’ll need to put out videos on a consistent basis. Given that Youtube is a highly competitive marketplace for content creators, having a lull in the amount of videos you put out can lead to a drastic reduction in the amount of views you garner for each video and the amount of users who subscribe to your channel. If you’re thinking of making a channel on Youtube, but aren’t exactly sure where to start, some of the most popular videos center around pets, comedy, and even toy reviews. When you wish to make money off of your content, it’s important that the content is largely original, as you can’t monetize videos of songs by other artists or short videos by different filmmakers. For every 1,000 hits for a video you create, you’ll earn a little more than $6. This may not seem like much, but can quickly add up as you put out more content and your channel becomes more popular. As long as you’re not shy in front of a camera, there’s hardly any downsides to creating a Youtube channel when you want to make some money online. If you know how to write and believe that you could create stories with your skills, writing and selling eBooks is a wonderful way to gain some extra money and actually have fun while doing so. Whether you’ve been trying to get a publisher to look at your book for ages or have never written a single page of a novel, writing eBooks is simple and easy to do, as these books tend to be short in length and can be written for any number of genres. You can write a romance novella, a series or poems, or even a self-help book. Through websites like Amazon, you can place these books online and gain a hefty share of the money that’s spent on them. In fact, by placing these eBooks exclusively on the Amazon Kindle marketplace, you’ll earn a larger share of the royalties. If you’ve always wanted to be a writer but have never found the time, placing your short stories and novels online could be a great way to make money and put your writing out there. You never quite know when a particular story is going to blow up and be purchased hundreds of thousands of times, but you can study the market to see which genres sell the most, what readers like and don’t like to read in particular genres, and how to advertise your eBooks in a way that will help you gain a sizable reader-base. Although you don’t need to do any of this to make at least some money, it’s a great way to hone in on what’s popular so that you can write eBooks that have a higher chance of success. One of the primary reasons that you should consider writing an eBook or two is that it’s simply one of the more exciting ways to make money on the internet. You get to tap into your imagination and write stories that only you could’ve thought of. If you’ve created a website or a blog, one of the best ways to get money is by utilizing a technique known as e-mail marketing, which is basically the idea of sending marketing e-mails on a consistent basis to people who would be interested in what you have to offer. If you want to make a lot of money online, this type of marketing is a great way to achieve this goal. When creating an e-mail list, make sure that the people you put on the list are among those who subscribe to your blog or have opted in for e-mails. If you have the skills and believe that you can create educational courses that will provide knowledge to prospective students, creating educational courses via Skillshare or Udemy is a fantastic way to make some money online. Though it will take time to plan out the curriculum and record any necessary videos, the rewards can quickly add up, given the popularity of sites such as Udemy. Each student interested in your course will pay upwards of $50 or $100 for it, so the money you earn can quickly add up. Do you know a lot about math, science, or a foreign language? If so, you might want to consider becoming an online tutor, which allows you to make money directly from your computer. With any students that request you as a tutor, you’ll provide one-on-one teaching sessions as well as the occasional webinar. You’ll obviously need a webcam to become a virtual tutor. You can go to VerbalPlanet to become a tutor for a foreign language or tutor.com to seek out options for other subjects. Making money on the internet has never been easier. With the tools at your disposal and the 12 ways that I’ve detailed here, you should be well on your way to earning a lot of money online in no time.